To showcase the potential virtual reality has for the real estate industry, Coldwell Banker created an immersive virtual tour of one of the World’s Most Expensive Homes – a $49 million property in San Clemente, California. What if you could take a tour of your next home from the comfort of your couch? For today’s consumer, this may become the new standard for tomorrow’s real estate listing experience. 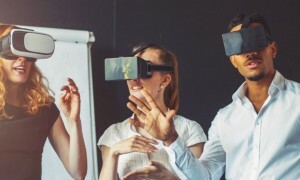 Through computer generated environments, virtual reality, also abbreviated as VR, is fundamentally changing the way home buyers and sellers house hunt. By doning a VR headset, viewers are transported to a different environment, allowing prospective buyers to virtually step inside their next home. And Mr. & Mrs. Seller no longer have to vacate their home for showings unless it is for a seriously interested buyer because they can host virtual open houses. To showcase the potential virtual reality has for the real estate industry, Coldwell Banker created an immersive virtual tour of one of the World’s Most Expensive Homes – a $49 million property in San Clemente, California listed by Tim Smith with Coldwell Banker Residential Brokerage. Take a behind the scenes look at the filming of the exclusive Coldwell Banker World’s Most Expensive Homes: Casa San Mateo below. For best viewing experience, we recommend you view the below video on a mobile phone, or better yet, through a VR headset like the Samsung GearVR or Google Cardboard. Today, through the integration Coldwell Banker has with VR service provider, Matterport, there are currently over 500 listings on coldwellbanker.com that can be experienced in VR. And virtual reality is seeing growth both in spend as well as adoption at a staggering pace. Perhaps the most compelling reason to integrate VR into your home’s listing experience is that virtual reality is a memory-creating medium. Those that have experienced VR actually retain memories of physically being in places that they’ve only seen in VR. So, by providing a VR experience of your home, you can expect it to stand out to potential buyers in a truly memorable way, above any others seen online in photos or standard video. This makes virtual reality — a real estate reality. 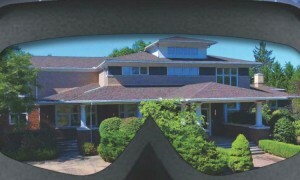 Could a virtual reality broker's open get your home maximized exposure with even less inconvenience?